honoring grandparents. The effort began in 1970 by a West Virginia housewife named Marian Lucille Herndon McQuade, and in 1973 West Virginia Governor Arch Moore legitimized the honorary day with a proclamation. At about the same time, senators from the state introduced a Grandparents Day resolution in to the United States Senate. Whether it is in September or a month later in the year, having a special day set aside to honor the grandparents of the children in your classroom – or even just special senior citizens – provides a wonderful learning opportunity. Below are some activities you can use to create Grandparents Day lesson plans for whichever elementary grade level you teach. When were you born, and where? What were hospitals back then? What was your favorite toy as a child? What were some other popular toys of the time? Did your family have a car? A TV? A computer? A dishwasher? A microwave? Did you have to do any chores? What were they? What types of things did you and your family do for entertainment? How did you get to school each morning? What do you remember about your teachers, your classroom, or the subjects you learned? What types of games did you play outside at recess? How is our school building and our daily activities different from yours when you were young? What is one major event in history which occurred while you were young and still stands out today? Using the "Grandparents Day Interview" detailed above, create a graph showing the different responses to the various questions. For instance, work together as a class to create a graph depicting the different ways their grandparents got to school each day. Sample answers might be: by bike, by walking, by bus, by car. After you have listed all of the possible responses, create a bar graph to show how many grandparents walked, or took a bus, and so forth. Another twist on this same activity would be to have each student ask their grandparent (or a family friend) to recall one or two significant inventions or discoveries during their lifetime. You can then require the students to research the year of invention and then spend time as a class putting the inventions/discoveries into the correct chronological order. 3. Let your students spend some time calculating the difference between their grandparent's age and their own age, or approximately how many days their grandparent has been alive. For students who no longer have a living grandparent or special family friend, allow them to calculate using the ages of their parents, or pair them with another student who has two living grandparents and they can each focus on one. Have your students create a "family tree," starting with their grandparents and working their way down to themselves. Encourage students to incorporate family photos! These can be displayed in the classroom or hallway for a short period of time and then presented to grandparents as gifts or as a part of a classroom celebration that grandparents are invited to attend. Try making fun picture frames, coffee cups, or paint projects. Play music from various eras in the classroom while your students work. Challenge students to enter the National Grandparents Day Songfest Contest. You may even wish to pair with your school's music teacher to create a classroom entry. As a culmination to your National Grandparents Day lesson plans, consider hosting grandparents and special adults in your classroom. Ask families to donate baked goods made with special family recipes. Students can share the books they have written about their grandparents, as well as the time line, songs, and crafts they created. Before parting, students can present their grandparents with the family tree as a memento of the time spent together that day. As an alternate activity, you may wish to consider spending time at a local nursing home or senior center visiting with grandparents who are shut-ins. If a visit is not possible, have students create cards or letters wishing these very special people a "Happy National Grandparents Day!" Whatever you do to celebrate National Grandparents Day, you are sure to create long-lasting family memories for years to come. 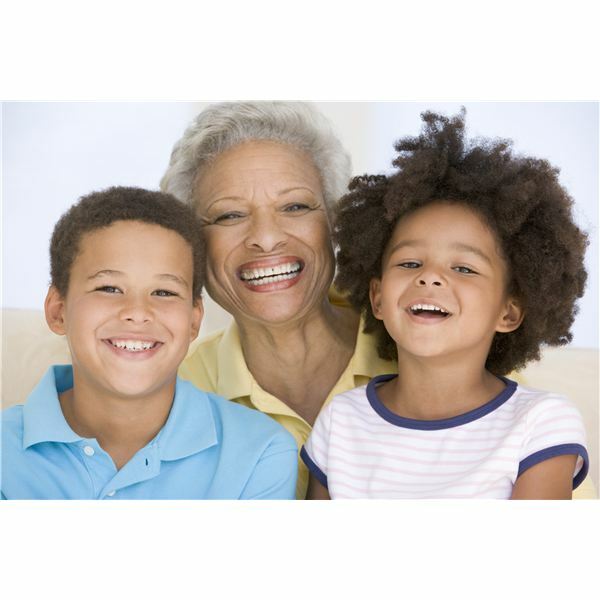 For more information about National Grandparents Day, or for additional Grandparents Day lesson plans, visit the official National Grandparents Day website.